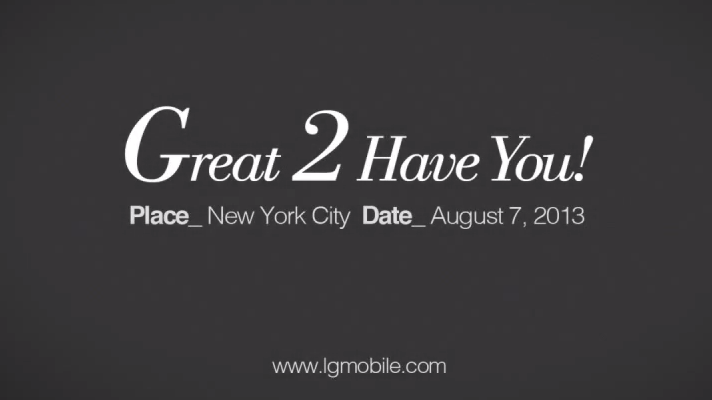 LG already has a date saved with us for August 7 to unveil something in NYC that is mobile related. At the time that we were asked to mark it on our calendars, we tossed out the idea that this could be their press event to announce the new LG G2, which has leaked a couple of times over the last few months. Sure enough, they posted a teaser video for the event last night that all but confirms the G2. Throughout the 1:39 clip, the quote “To me, you are perfect. From G…” strung about on billboards, walls, bus stops, and in book stores. But it becomes painfully obvious when the invite drops a “Great 2 Have You!” line at the end. And yes, the bold on the G and 2 are on purpose. 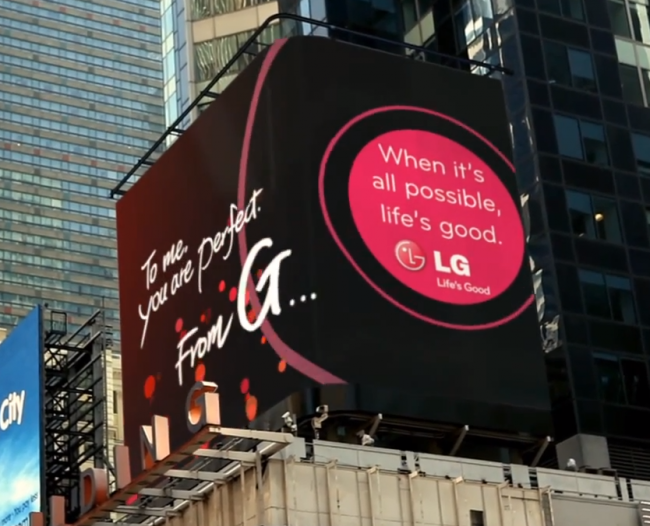 The G2 is expected to have a mega-high-resolution display with little bezel and run on a Snapdragon 800 processor. The device may also be so thin that LG had to place the volume rocker on the back, something that was seen in a leaked promo video. Other than that, the phone is somewhat of a mystery. If it’s anything like last year’s Optimus G Pro, it should push the limits of mobile technology. If you haven’t yet found a place again for LG in your hearts, now might be the time to start letting them back in.